Autumns is the solo project of Christian Donaghey, from Derry, Northern Ireland. 2017 sees the eagerly anticipated release of his debut full length record “Suffocating Brothers”. On “Suffocating Brothers” Autumns presents a resolute nine track culmination of the fierce audacity that has come to define and distinguish the project since an assured first emergence in 2013. 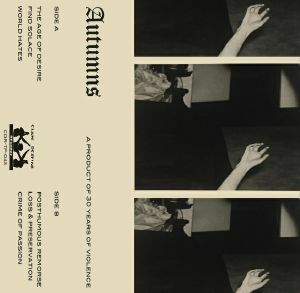 Written and produced over the course of six months, between July and December 2016, it’s an album that comes as a momentous and devastating fulfilment of what the Autumns project has outlined with increasingly ruthless intent over the last few years. Newcastle, Australia’s Collector brings us a varied album for his Clan Destine debut. After a rad LP for Melbourne’s Drawing Heat and a tape for Night People. Icy synth lines and noisy textures, pounding beats and lots ov bass. Industrial techno at its finest. “A Product of 30 Years of Violence” is the new release by Christian Donaghey, AKA Autumns. In the build-up to Autumns debut album, an EP of six songs delivering a diverse range of sonic explorations, concepts and limitations is to be released on Clan Destine Records to document the music made during the months of Summer and Autumn of 2016. L/F/D/M aka Richard Smith returns on Clan Destine for another release, an epic journey thru Techno, Electro, Noise, Acid and even Disco. 60 minutes ov madness, hold tight. 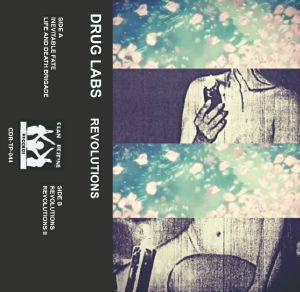 A collaboration between Dutch producer and New York Haunted label boss Drvg Cvlture and Melbourne based box banger DyLAB. A doomed lysergic techno attack ov thee highest calibre. Atlanta’s That Which Is Not Said or TWINS returns for his fourth release on Clan Destine. Channeling the spirit of Joy Division, Bauhaus, A Certain Ratio and other post punk legends kicking and screaming with DJ Pierre and Phuture into the NOW.